We are preparing after party each days! 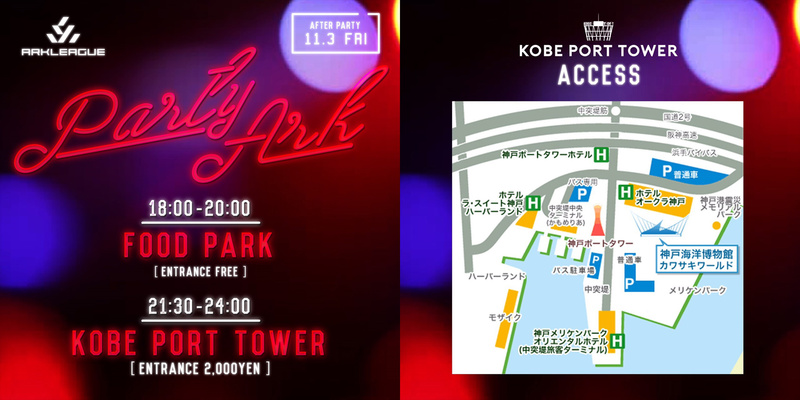 First party is 11/3 FRI.
At FOOD PARK where is next ARK LEAGUE venue from 18:00-20:00. It will be free entrance! 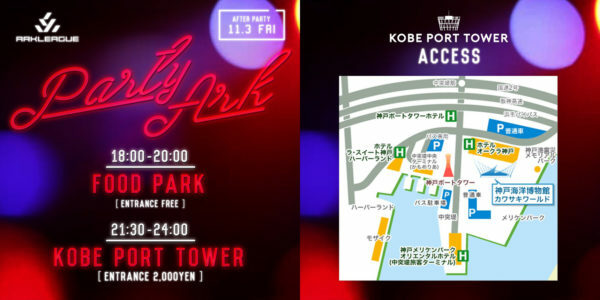 At KOBE PORT TOWER where is front of ARK LEAGUE venue and KOBE symbol tower! The entrance fee is 2,000 yen. ※FLAT ARK Open class and SKATE ARK entry skaters will be entrance free. Second party is 11/4 SAT. 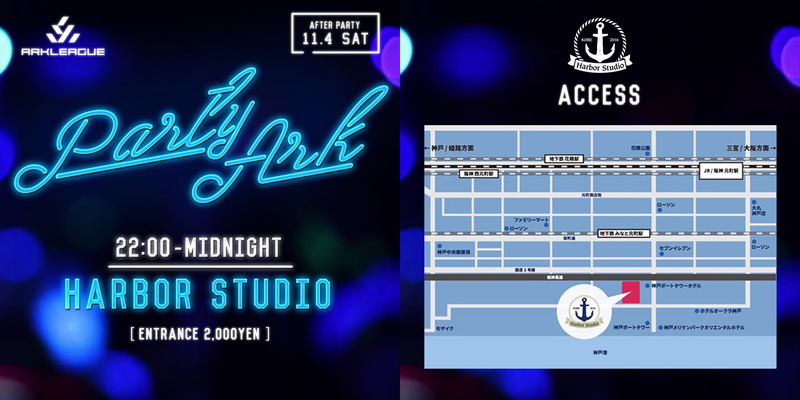 At “HARBOR STUDIO” from 22:00-MIDNIGHT. 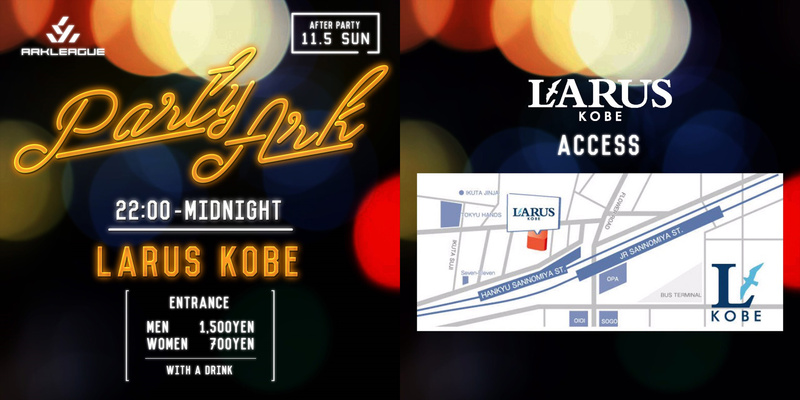 Last party is 11/5 SUN. At “LARUS KOBE” from 22:00-MIDNIGHT. The entrance fee is MEN 1,500 yen.